Magento is an eCommerce web application which has turned out to be a powerful tool helping in the construction and management of eCommerce solution. This website development platform is gaining popularity for building up an eCommerce store. It has distinctive features that make every eCommerce website or store user friendly and influential. 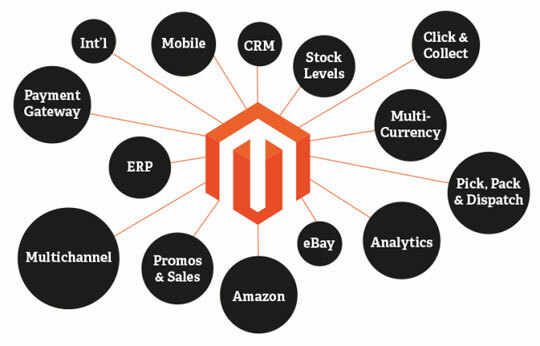 The Magento web development includes unique characteristics such as change in prices, easily moving data, user friendly admin system, and quick side wide, page checkout, and quick site wide, shopping to multiple addresses, and lots more which makes the Magento an exclusive solution for modern day eCommerce stores. To know more about Magento please visit the wiki page or the Magento official website. There are many plug-ins and lots of features that can be removed and added as per requirements. The Magento web is compatible with any browsers. This new technology is cost effective in comparison to other web development technology. There is a page meant for automation checking as well as manual checking. There are features which help buyers with compressive details. It supports many languages so that it becomes easy for the administrator to manage multiple stores. There are lots of aspects to be known by a Magento developer when he is about to work on any web development project, let us have a look at some of the important concepts. Describing the products which are in stock and which are out of stock. Publishing every detail in the sales catalogue. If the eCommerce store is going to be global, then conversion of prices should be configured. This can be done through the administrative panel system, by selecting catalogue, then prices, and then price scope. You might have to share the details of the customers such as their customer email id, shipping address, and others. Hence updating the information and sharing them can be possible. Go to the account sharing scope option from customers, which can be accessed from the system configuration. The Magento is regarded as a potent platform when it comes to theme development and custom designing. It helps in creating many online stores as well as the extensions which allow adding interesting customization improvements. If you are a novice at Magento web development then you should learn its terminology and framework. We have explained some basics in relation to Magento web development. Knowing all about Magento hierarchy, here it is. Global: It means installing the Magento completely. Website: Either a single store or multiple stores that help customer with every minute information about orders, shipping, contact, and others. Stores: It means an assortment of many stores. Whether the stores are multiple or single, one can create an individual catalogue to ease the customer’s view. Store view: This is about the stores, meaning how a customer can view the stores of an eCommerce store. It can be done in a number of different ways. The above mentioned is a hierarchy that every Magento developer should understand. When you have decided to build a website on Magento platform, then it is possible that you can create different stores with one website. Therefore, a lot of web developers are using Magento so that an e-store can get different looks despite being just one website. Multiple themes can be used in order to come out with an exclusive website. If you want to go with a design package, it means it is a huge collection of diverse themes. However, a basic package involves simple themes. For instance, a Pro edition gives customized packages, whereas an enterprise edition will provide basic features. One can even add custom packages in fronted directory. Themes basically include a lot of elements such as skins, templates and additional files so that you get a customized layout for your eCommerce store. In addition to this, one can even change the template whenever it is needed. The best thing about Magento is that it allows using a number of themes as per the requirements. There can be usage of different variations for various stores so that the customers get new feel and look whenever they visit the e-store. The Magento developer can begin with default packages at first and learn about editing the themes to make custom layout. Furthermore, the Magento has many modules which are easy to manage in order to get the best outcome. This extension has been developed in order to improve the functionality of any eCommerce store. It can be availed at free of cost and it includes many custom modules. The third party Magento developers create these extensions and provide particular functions. The extension is available in a Magento directory or a folder. This can be used for any kind of project. The extension involves many core modules which can be found in installation by default. Moreover, the modules can be altered anytime by the Magento developer. 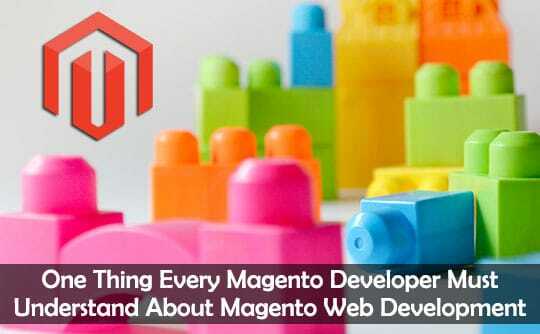 The above information has to be noted down and remembered by every Magento developer. These initial or introductory lessons learnt at the beginning stage of website development will help every Magento developer to have a smooth understanding of every aspect of the project. There are still many more aspects related to Magento development that has to be learnt by a Magento developer when he starts his work. So, if you are planning to get into the field of Magento then make sure to expand your knowledge in this field. You can find many more interesting things on the internet and keep learning new things about the same. This article is written by Chirag Patel. He is a digital marketer at ZealousWeb, an ISO Certified Company providing Magento eCommerce website development services to worldwide clients. He is passionate about content writing and sports. Follow him on Twitter.